Welcome to the first issue of the TallWood Design Institute newsletter! We’ll be using the newsletter to let you know about research news, outreach activities, training opportunities and other events carried out by the Institute and our affiliated researchers and partners. TDI's Associate Director, Iain Macdonald, will be presenting at the Edifica Expo 2017 in Santiago, Chile. Please join us for our first Critical Mass (Timber) Meetup in Portland, OR to talk about building bigger, taller and smarter with wood. This meetup group, “Critical Mass (Timber)”, launches on October 19th, as an informal monthly gathering of professionals interested in building bigger, taller and smarter with wood. Centering around the use of relatively new-to-the-US materials such as cross-laminated timber, our group aims to bring together architects, engineers, construction professionals, developers, code officials, municipal planners and anyone with an interest in seeing more buildings go up using renewable materials. THIS IS NOT A LECTURE SERIES! Our goal is to create an interactive discussion space in which individuals can learn from each other through sharing of personal experiences and projects they have undertaken. The TallWood Design Institute, together with the OSU Wood Science & Engineering department and the University of Oregon Department of Architecture, is teaming up to develop a mass timber summer design-build seminar program, to be offered for the first time in 2018. The program will be designed for engineers and architects in the private sector looking for professional development opportunities that can increase their knowledge of designing and building with wood; as well as for graduate students looking for college credit. TDI will once again be issuing a call for proposals in anticipation of allocating grant money from the Agriculture Research Service (ARS) towards mass timber research. We plan to release the next call in mid-October. 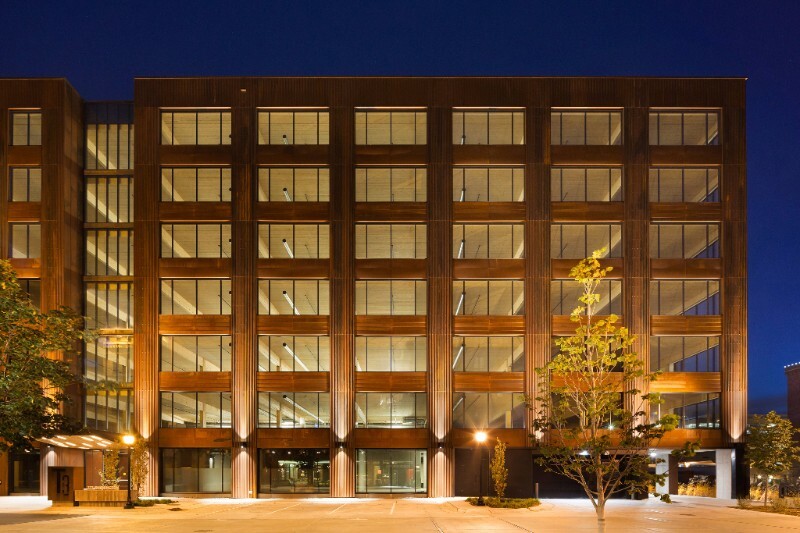 To date we have invested ~$1.9 million in 13 research projects covering a broad range of topics, including timber piles for liquefaction mitigation, CLT floor systems, achieving net zero energy standards in tall wood buildings, post-occupancy building monitoring, a survey of the global CLT industry, and more.